Utagawa Kuniyoshi (1797-1861) A Comparison of the Ogura One Hundred Poets: The Steward of the Retired Empress, 1847. Oban. A remarkably well preserved print from the finest collection of ukiyo-e of the nineteenth century. 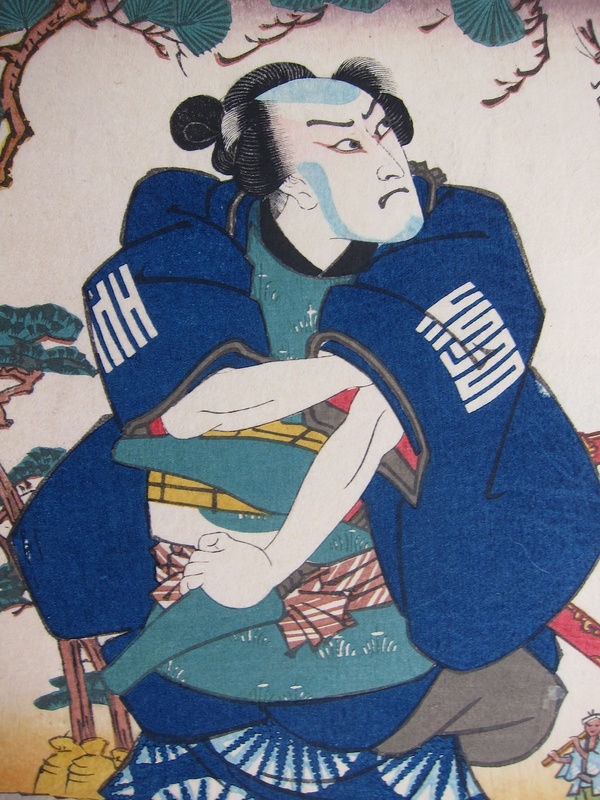 In 1845 the publisher Ibaya Senzaburo commissioned the three leading artists of the day, Hiroshige, Kunisada and Kuniyoshi, to contribute to an anthology of 100 poems by 100 poets. The poem is written at the top of the print and a scene from history or drama is illustrated below, each scene being an obscure allusion to the subject of the poem. Due to that single night / of fitful sleep, short as a reed’s joint / cut at the root, / from Naniwa Bay, / am I to exhaust myself, like the / channel markers, / passing my days in longing? The illustration that links the two literary pieces communicates a strange kind of longing or melancholy. 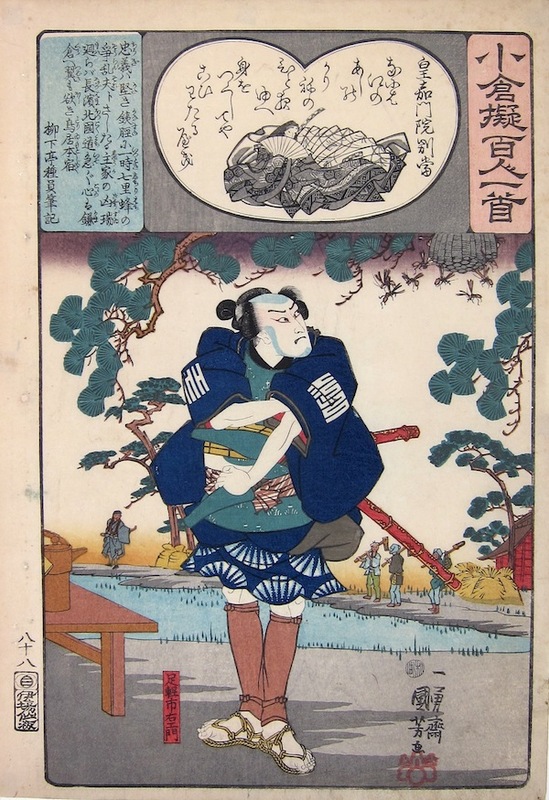 A very fine Kuniyoshi, the print is full size with full margins and in excellent condition. Colour and impression are fine. The print is illustrated in Herwig & Mostow, The One Hundred Poets Compared, Hotei Publishing 2007.